The Self-Gripping (Jumbo) picture hanging hook along with the added Safety Guard offers the most secure method of hanging art when using cable. 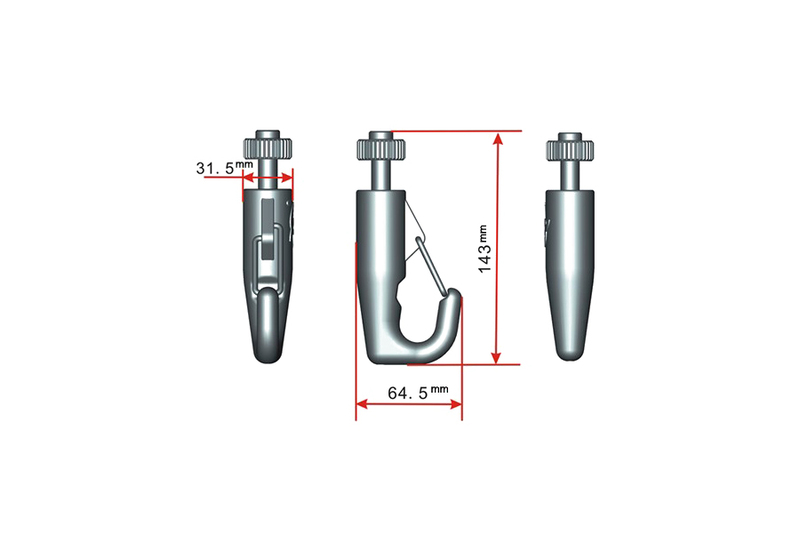 The added Safety Guard assures that your picture cable or D-ring will not detach from the picture hook providing and extra layer of security and deterrent against theft while making this item perfect for high traffic areas. 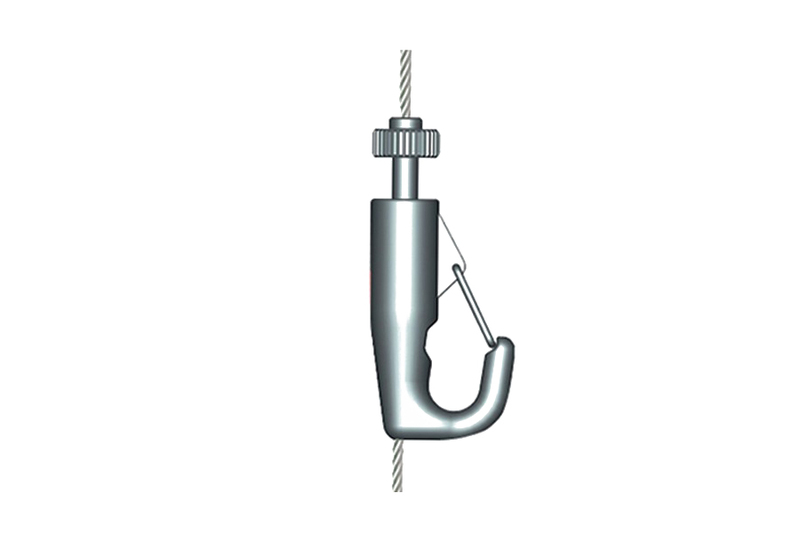 For use with: J-Hook Cable (Pro) Series Only! The Self-Gripping easy to adjust art and picture hanging Hook uses the weight of the hanging object to tighten against the cable. 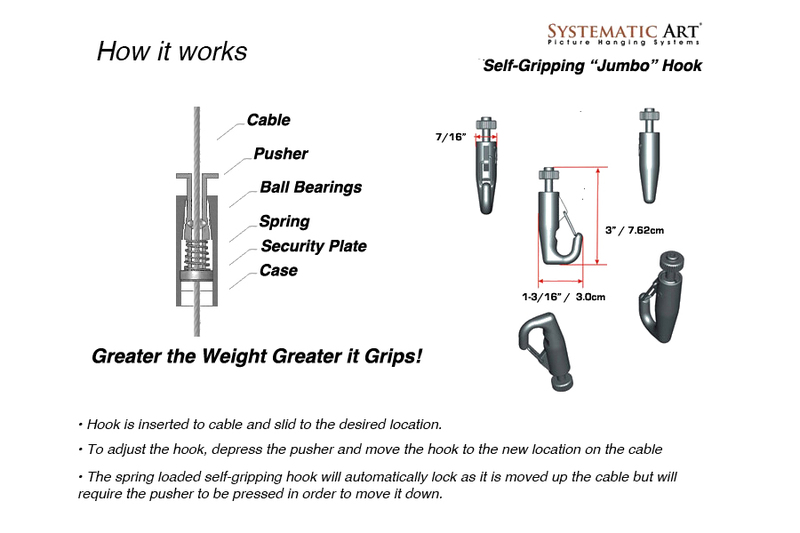 Adjustment of the hook is done by simply pressing the hook and sliding it to the desired location on the cable. Once released the hook is then secure and ready for the object to be hung. 2. 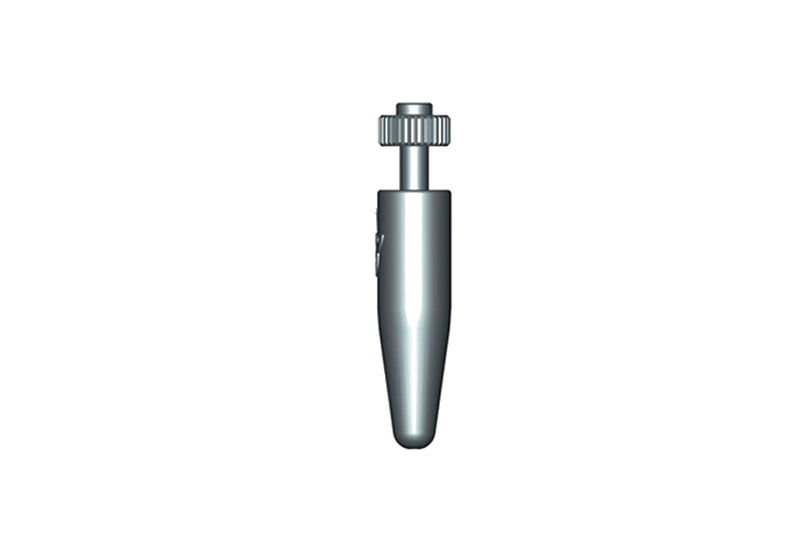 To re-adjust the hook, simply press the plunger using your fingertip and move to desired location on cable. 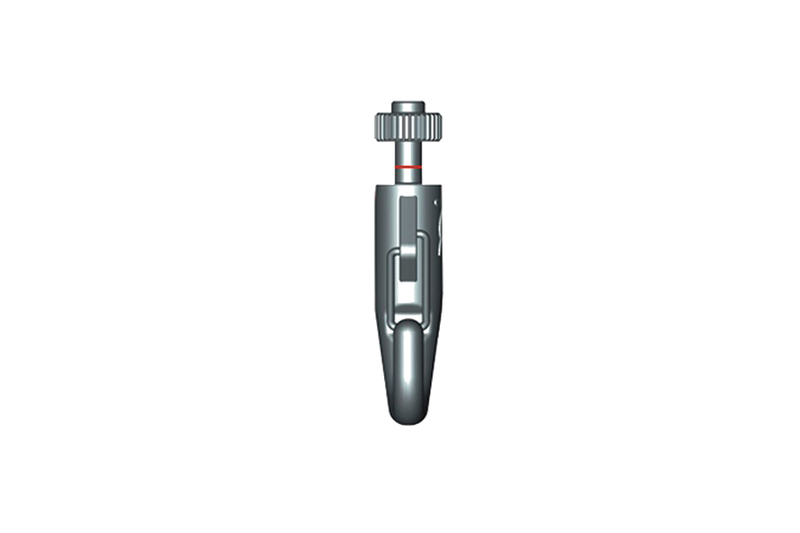 Once the plunger is released the hook automatically locks. The Self-Gripping mechanism allows the hook to freely move up the cable, but cannot move down unless the plunger is pressed. The Self-Gripping art and picture hanging hook is composed of a spring loaded tapered cone with three ball bearings. The cable is inserted into the hooks plunger, which then moves the ball bearings. A spring sets the bearings against the cable. The weave of the cable pulls the bearings up into the cone and locks them on to the cable. The greater the load the stronger the bearings grip to the cable.